Go Quirky or Go Home! In our small city apartments, we often forget to introduce an element of nature – such is the struggle for space. Is it possible to bring nature indoors, in an effective manner? The answer is yes. See below for a list of indoor plants that spruce up your décor with flora and fauna, add colour and freshness, and aids in purifying the air. Research shows that one indoor plant for every 10 square yards of floor space in your house can ensure an impactful degree of air detox. An interior space without plants tends to look bare and a bit cold, so fill your home with plants to bring in warmth and comfort. Plants also help to visually balance harsh architectural and interior lines and are known to reduce stress. A proud homeowner is encouraged to be surrounded by lush green plants. 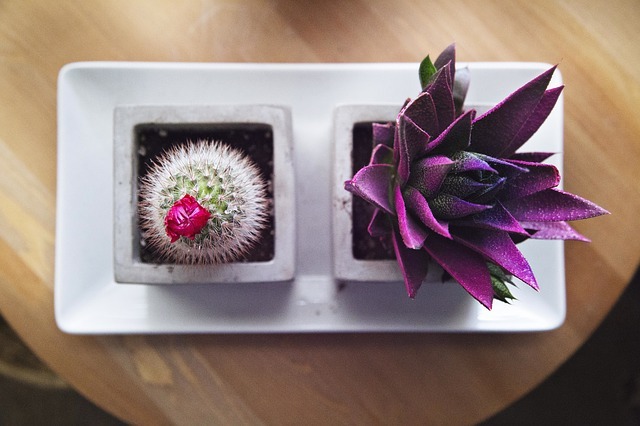 Read on for which indoor plants add the much-needed colour and positive energy to your interiors. 1. Aloe Vera - The benefits of aloe vera in beauty, healthcare and well-being are inescapable. The plant is also known for its wound-healing and air cleaning properties. But these are not the only reasons why we love this plant. When placed in a chic earthen bowl filled with nursery mud on a table top or in a corner alcove, it sits pretty, giving a refreshing feel to transitional spaces such as corridors, corners of rooms, and ledges. These plants require minimal care. You can clean the leaves by wiping them a couple of times a week with a soft cloth. Don’t forget to snip off a part of the fleshy stem when a beauty need arises! Since the leaves of the aloe vera plant are stiff and don’t fall over, it’s a very easy plant to live with and maintain. This would be a great addition to a Modern home, with its minimalist look and sleek leaves. 2. Lucky bamboo - Nothing spells modern chic in the indoor plant category as much as the Lucky Bamboo does. Place the potted bamboo in a bowl filled with water, replace it once a week, and let it sit as a cute centrepiece on your dining table, console table, in your kitchen, bathroom ledges, or sideboard. 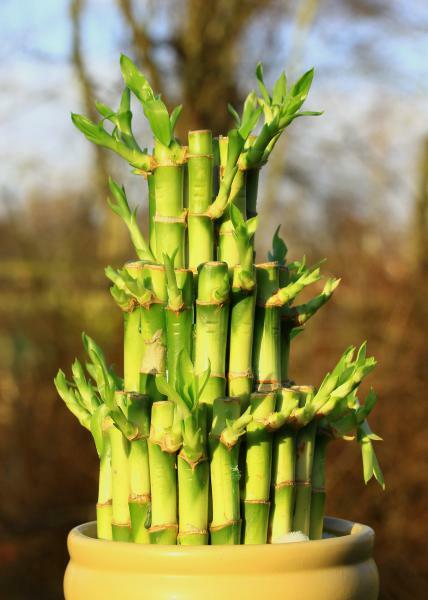 Feng Shui experts say that Lucky Bamboo plants (especially the ones with fewer leaves on it) bring additional harmony and abundance to the household. This no-fuss house plant needs very little natural light and does not take up much space. The plant is an easy fit in a Trendy home, adding some natural greenery in a way that won’t overshadow the carefully thought-out décor scheme. 3. 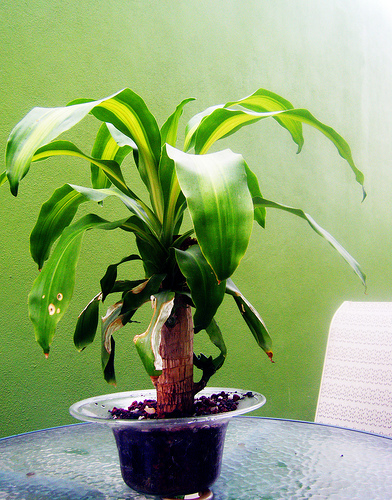 Dracaena - The Dracaena species is known to grow to ten inches long and three inches wide, and doesn’t need natural sunlight on a daily basis to survive. Perfect for apartments that do not have enough natural light pouring in, Dracaena can grow under artificial lights and require minimal amounts of water too. Mist-spray the leaves and allow the plant to shine in its natural beauty. 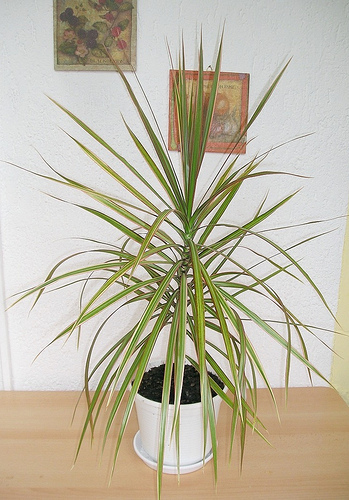 This plant is low on maintenance and suitable for homes that have pets and kids around. We love the idea of placing it as a corner dressing in a living room, beside bookshelves. You could also keep them on your balconies to exude a nature-in-home appeal with panache. Include this plant in the décor of an Ethnic home for a decisively green touch. 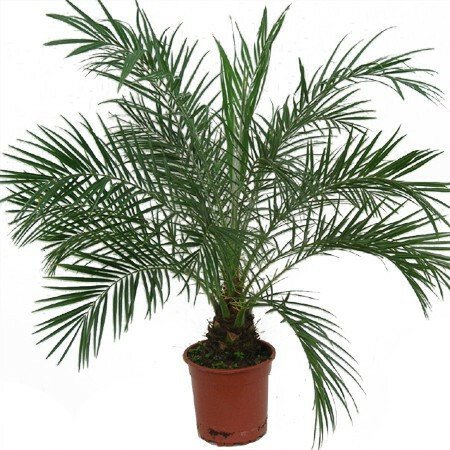 Dwarf Date Palms - Also known as Pygmy Date Palm, these are hard and long-lasting leaf-based plants. They grow to a height of eight to ten inches and unfurls as it grows. We recommend placing them at a height, maybe on tables or on a mantelpiece. They are known for their sharp spines at the base of the leaflets wear garden gloves when trimming off old fronds. Low light and low watering needs make them low maintenance. Dwarf date palms are perfect for bachelor pads or the homes of urban couples that wish to create an illusion of plenty while tastefully decorating spaces with minimal pieces of furniture. When potted in large planters, these indoor plants help you achieve that very look. Ideal for a Classic home with its delicate, slender leaves, this plant will create a green statement, without overshadowing the dramatic décor. Boston ferns - Boston ferns grow into lush green décor pieces and add a verdant touch to your interiors. Feathery in appearance and best displayed as hanging ensembles near windows and kitchens or on a balcony, Boston ferns can grow to five inches in width. These ferns do not require a lot of sunlight in order to thrive. You can leave the soil moist to barely wet for about five days in a row. Mist-spray the plant twice a week and leave it to grow effortlessly. Very safe for kids and pets, should they chew, nibble on, or play with the leaves. 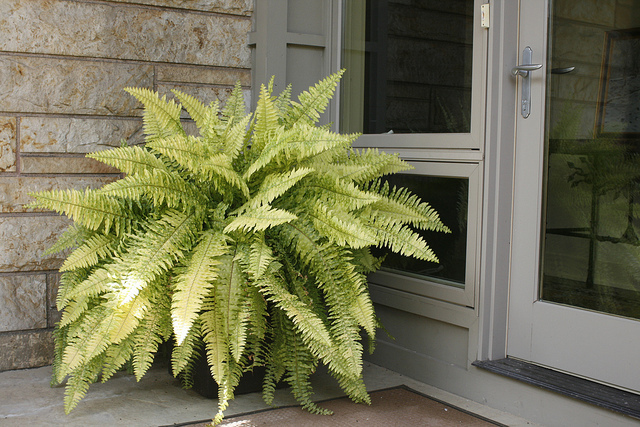 The instantly recognizable look of a Boston fern will make it a perfect addition to an Ethnic home, where it will complement the décor rather effortlessly. Tiny homes with few sources of ventilation and homes that are in close proximity to other apartments have to bear the burden of fumes and exhaust not only from the streets but also from kitchens and bathrooms that overlook your own homes. The good news: these five species of indoor plants give you a much-needed splash of greenery while also purifying the air you and your loved ones breathe. Since these are not high on maintenance, we recommend you bring them home and start the process of saying goodbye to unhealthy air.